ACT Fibernet, India’s largest non-telco and third largest ISP (Internet Service Provider) in the wired broadband segment today announced that they had increased the data limits with all its broadband plans for all its customers in Chennai beginning August 1, 2017. 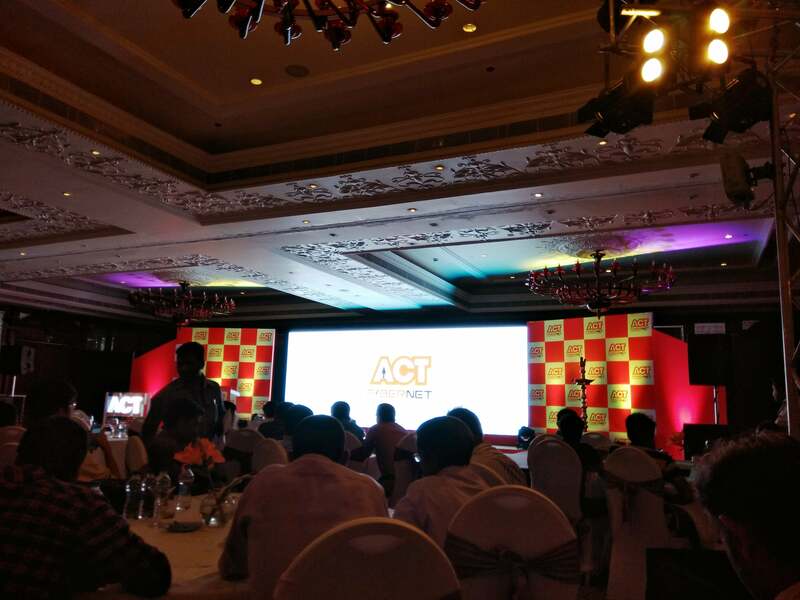 ACT Fibernet is known as a pioneer in Giga enabling an entire Indian city and a disruptor in the Indian broadband ecosystem, ACT Fibernet’s upgraded plans will allow customers to enjoy higher data limits at no additional cost in Chennai. Recently, the ISP also increased data limit for its subscribers in Delhi and even announced a new 150 Mbps plan. ACT Fibernet is combining the upload FUP and Download FUP limits into one monthly data limit. The customer now has the freedom to consume data on uploads or downloads as per his needs and usage. Under the retail customer plans, ACT Basic will be upgraded to 80GB, with a total FUP limit with 30 Mbps speed from its current 40GB Upload FUP and 40GB download FUP. Similarly, ACT Blaze is upgraded to 200GB data limit with 75 Mbps speed. The ACT Storm now offers 260GB FUP with 75 Mbps speed; the ACT Lightning now provides 350GB data limit with 90 Mbps speed, ACT Thunder will be upgraded to 450GB data limit with 100 Mbps speed and ACT Incredible will be upgraded to 700GB data limit with 150 Mbps speed. Similarly, under the SOHO (Small office, home office) retail plans, ACT SME Swift is upgraded to offer 900GB monthly data limit with 150 Mbps speed, ACT SME Flash will now offer upgraded 1100GB data limit with 200 Mbps speed and ACT SME Force will be upgraded to 1400GB data limit with 200 Mbps speed. However, ACT Fibernet still hasn’t introduced the ACT Giga 1 Gbps plan in Chennai. ACT FIBRE CABLE: I am an user of ACT Cable Internet at Hyderabad. Very poor and disrupted services in my area Adikmet. Every Sunday right from the morning to Til I lodge the complaint, it is NOT set right. Customer services girls/boys are all arrogant. But, for collecting the payments, they are the first, but service to users, is NOT AT ALL. If their services are poor, let them expand to any amount, but it is all waste. Can they reply to this charge on them?